The Greenville Road Warriors had a third period lead slip away and they fell to Gwinnett 2-1 in the shootout on Friday night at the BI-LO Center. The 3-2 setback left the Road Warriors‘ record at 40-22-6. 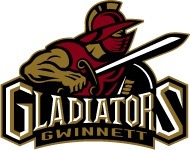 The Greenville Road Warriors fell in their final visit to the Arena at Gwinnett Center on Saturday night as they dropped a 4-3 decision to the Gwinnett Gladiators. The defeat left Greenville’s record at 39-22-5. For the third time this season the Road Warriors used a late third-period goal to forge a tie before beating South Carolina in extra time. The 2-1 win in a nine-round shootout gave Greenville a 3-2 victory and improved its record to 39-21-5 on the season. WHO BRINGS A STINGER TO A SHOOTOUT? Posted on March 11, 2012 | Comments Off on WHO BRINGS A STINGER TO A SHOOTOUT? 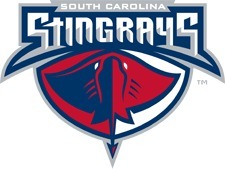 The Greenville Road Warriors picked up a hard-fought 3-2 win over the South Carolina Stingrays at the North Charleston Coliseum on Saturday night. The Road Warriors used a 2-1 shootout triumph to earn the win and improve their record to 38-21-4. Comments Off on WHO BRINGS A STINGER TO A SHOOTOUT? The Greenville Road Warriors were unable to overtake the Gwinnett Gladiators for the top spot in the South Division as they fell 3-1 on Tuesday night at the BI-LO Center. The loss dropped Greenville to 36-21-4 on the season. 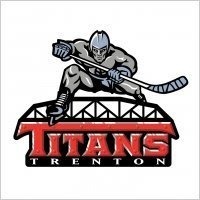 The Greenville Road Warriors closed out a busy three-game week with a 6-3 win over the Trenton Titans at the BI-LO Center on Saturday night. The win improved Greenville to 36-20-4 on the season. GREENVILLE, SC – The Greenville Road Warriors won their fifth straight home game and Jason Missiaen made it three straight wins for himself with his first professional shutout on Friday night. The 3-0 win over South Carolina at the BI-LO Center improved Greenville to 13-8-0 on the season. GREENVILLE, SC – After three weeks away, the Greenville Road Warriors made a triumphant return to the BI-LO Center with a 3-1 win over the Gwinnett Gladiators on Thursday night. The win improved Greenville to 12-8-0 on the season. DULUTH, GA – The Greenville Road Warriors utilized two power play goals to take down the Gwinnett Gladiators by a 4-2 score on Saturday night at the Arena at Gwinnett Center. The win was Greenville’s first of the season and improved its record to 1-3-0. 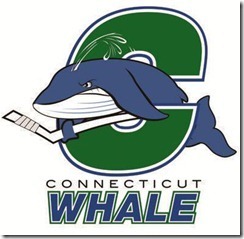 The Connecticut Whale fell to the Albany Devils, 3-1, Tuesday night in their preseason opener at Trinity College’s Koeppel Community Sports Center. 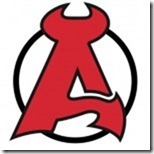 Nathan Perkovich scored the game-winning goal for Albany and former Wolf Pack forward Chad Wiseman had a goal and an assist in the Devils’ win over the Whale. Kale Kerbashian scored the lone goal for Connecticut.